Preschool series. Join Daniella as she learns to swim. She has her first swimming lesson, then visits an aquarium to learn how fish swim and breathe in the water. Join Daniella as she learns to swim. Daniella plays with her toys in her paddling pool when Mum asks her if she'd like to learn to swim. She has her first swimming lesson, then visits an aquarium to learn how fish swim and breathe in the water. 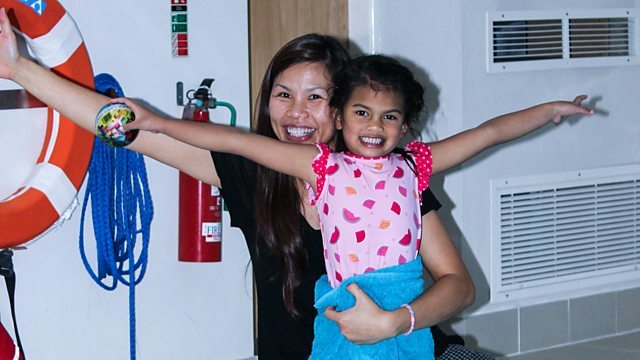 Daniella then goes to a swimming pool with her family to practice what she has learnt and to help her improve. She even receives a certificate for her hard work at swimming.